You can tell a lot about the ambitions that the many agencies, media and tech companies have by the type of party they throw, the venues they hire or the size of the yacht they have moored in the marina during the Cannes Lions International Festival of Creativity in France. Like peacocks fanning their feathers as part of a courtship ritual, agencies and media groups scramble to hire yachts, beaches, pubs, entire piers, marquees and penthouse apartments with spectacular sea views as they court both existing and potential clients as well as fame. Held every year in June, the picture postcard Mediterranean city plays host to over 40,000 people from the worlds of advertising, media, technology and marketing for a week-long smorgasbord of keynote talks, award-giving, deal-making, backslapping and wine-guzzling. Once the preserve of the creative and media agencies, their holding companies and clients as well as the many media companies keen to help them part with money, the past few years have been noticeable for the heavy presence of tech platforms like Facebook, Google, Snap, Spotify and more ad-tech companies than you could shake a stick at. Or in some cases beat over the head. 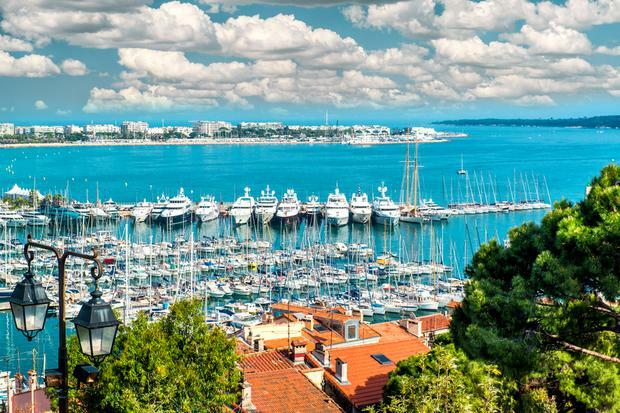 This year, however, it was the turn of the so-called big consultancy groups like Deloitte, PwC and Accenture to strut their stuff in the Cannes sunshine with swish cabanas on the famous Croisette and luxury yachts in the marina. Not only did they set out their stalls and flex their considerable muscles but this year they sent out a clear signal to all in attendance that the world of marketing and advertising is changing and they are going to play a big part in disrupting it. Not surprisingly, the growing presence of the consultancy companies - or 'cagencies' as Accenture Interactive's Anatoly Roytman has dubbed them - has created a degree of unease within the industry while some have questioned their creative capabilities. At a time when clients are talking about the unnecessarily complex and opaque structure of the industry, a desire to take greater control of their marketing and the need to fuse data with creativity, the industry has been engaged in a fair degree of soul-searching over the past year. Whether the traditional agencies like it or not, the consultancy companies are here to stay and anyone who may have doubted their creative credentials got a rude awakening in Cannes last week when the Irish agency Rothco - which Accenture Interactive bought last year for a figure in excess of €35m - cleaned up with no fewer than seven Cannes Lions, including a Grand Prix and a Gold Lion. While it's always great to see an Irish agency like Rothco do well on the international stage, for Accenture Interactive it marked its first-ever major haul of awards at Cannes and it sent out a clear signal of intent out to the wider marketing industry. In case you don't know it, Accenture Interactive was recently named as the largest digital network worldwide in Ad Age's annual Agency Report 2018 for the third consecutive year. With global revenues of $6.5bn for the year to the end of August 2017, the company has grown significantly over the past few years, largely on the back of a string of strategic acquisitions, including Rothco, in a number of key markets. Part of Accenture, the Nasdaq quoted company that has its registered headquarters in Dublin - which is also home to the group's global innovation hub - the company reported global revenues of $34.85bn (€30bn) and profits of $4.46bn (€3.86bn) in the year to the end of August 2017. With over 441,000 employees serving clients in more than 120 countries, it is a powerhouse in terms of the sheer depth and breadth of the services it offers to clients, not just in the marketing space but across a wide range of industries and sectors. Accenture Interactive's proposition essentially revolves around helping companies and brands transform their customer offering across the entire customer journey by connecting as many of the dots as possible. Through its connected offerings in design, marketing, technology, content and commerce, it aims to help clients create new ways of doing business in what has become an experience-led economy. It's a model that appears to be working and following a string of acquisitions in areas like creative services, technology, content and e-commerce, it now has in place a fairly compelling offering. On top of this, and through Accenture's other operational divisions, it also has its foot in the door of the all important C-Suite, something that traditional agencies have struggled to do in the past. Indeed, having the ears of the CEO, the CFO, the CTO and the CMO is a rarity. While some within the advertising industry may still doubt the impact that 'cagencies' like Accenture will have on the wider landscape, others will be thankful that it has raised the bar considerably in an industry where the self-inflicted commoditisation of marketing services has led to the existential crisis in which the industry now finds itself.